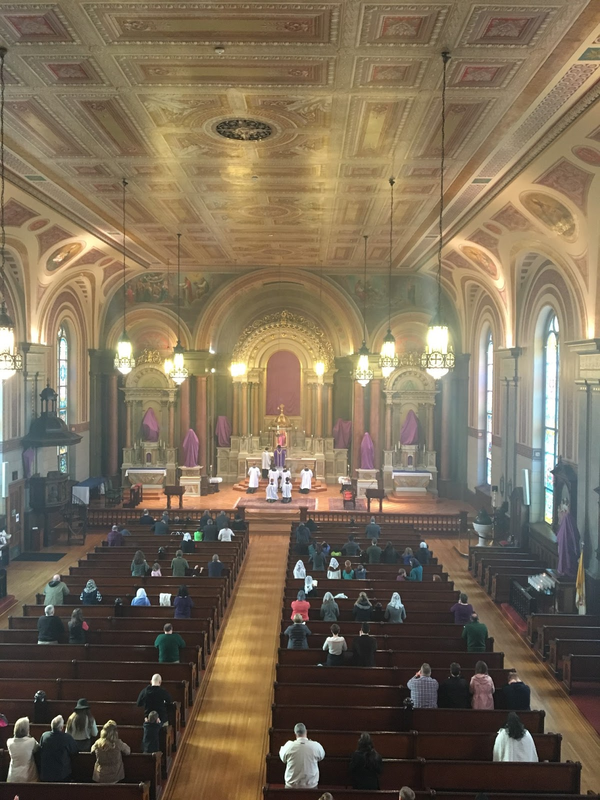 What an encouraging sign this is of the ever-growing interest in and love for the richness and variety of our Catholic liturgical tradition! 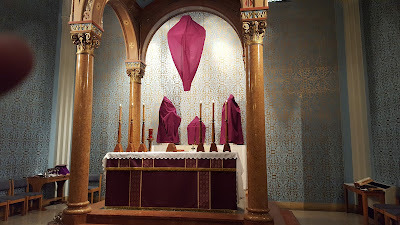 Veiling the crosses and statues was never forbidden, but as many of us know, “optional” has too often been treated as liturgical parlance for “discouraged” or “prohibited.” The fact that so many churches are choosing to revive the practice shows that this harmful attitude is fading; slowly, perhaps too slowly for the patience of many, but be assured, the day will come when no one will think to speak of such customs as “pre-Conciliar”, and therefore useless. 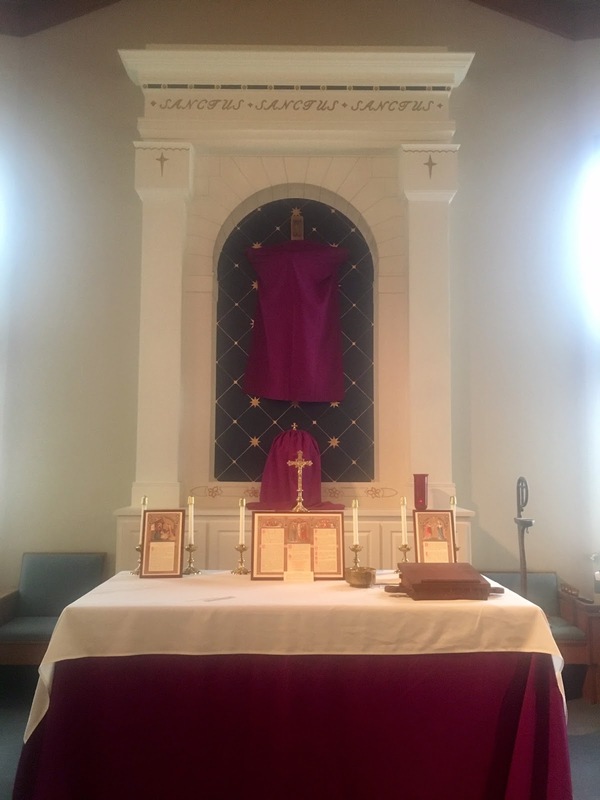 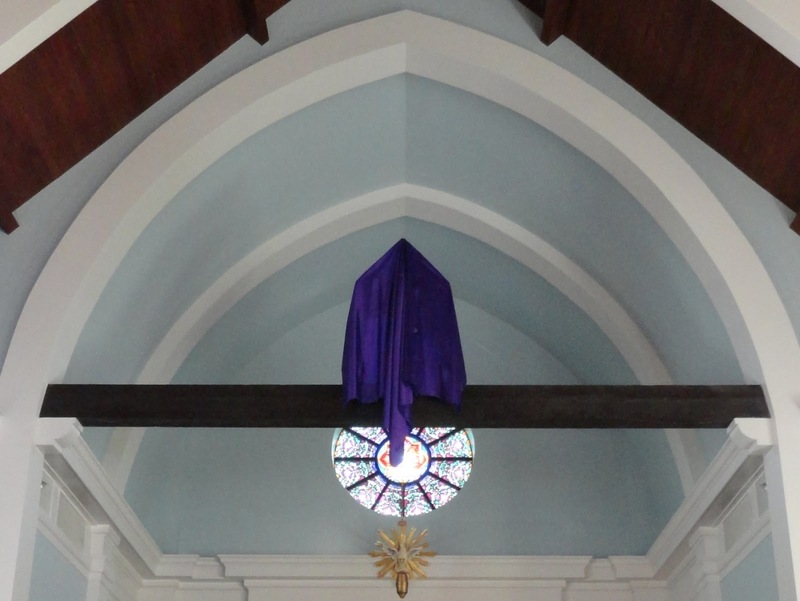 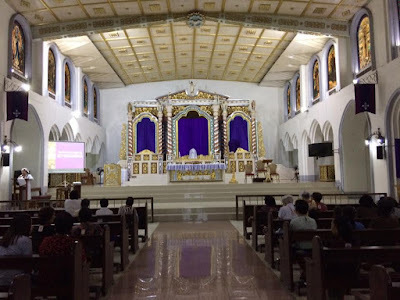 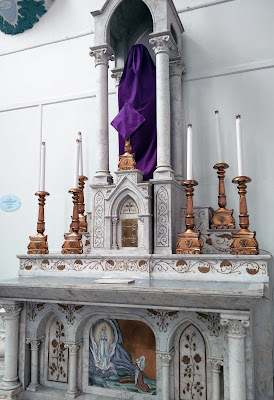 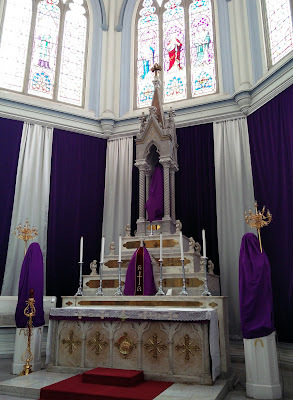 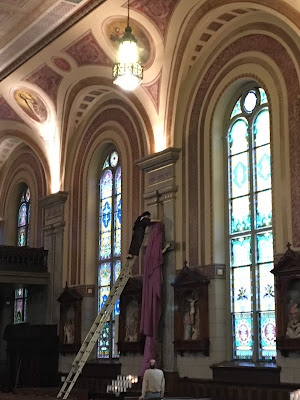 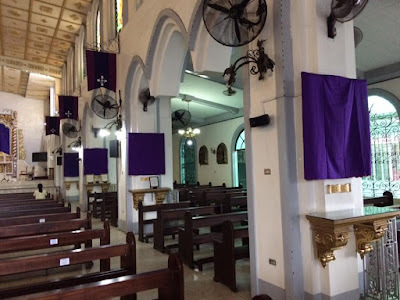 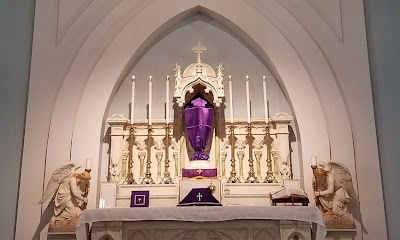 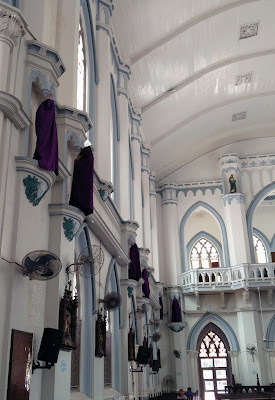 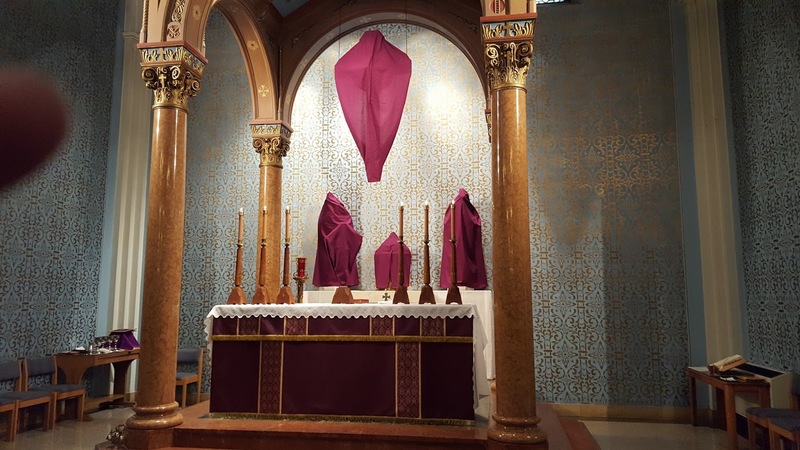 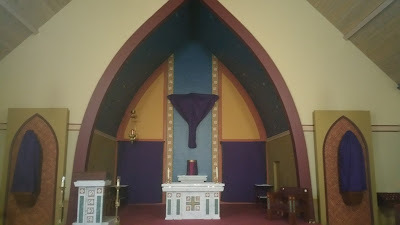 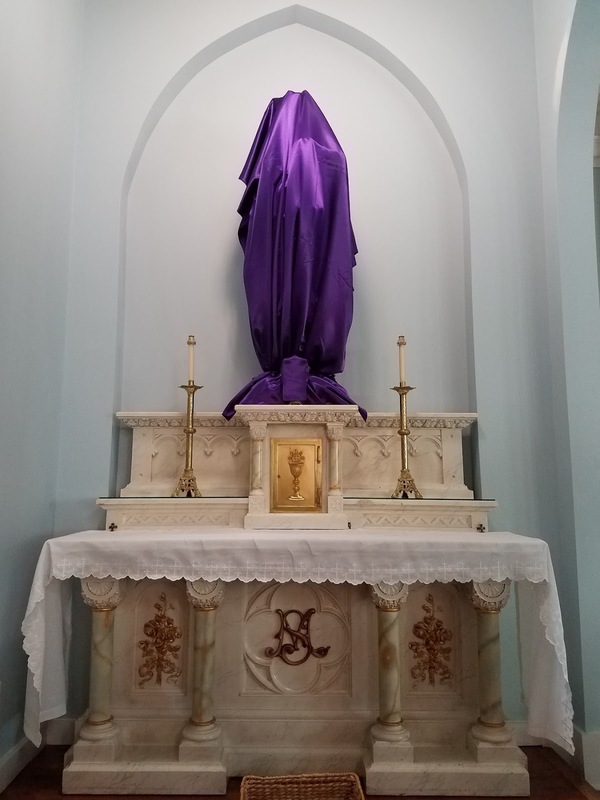 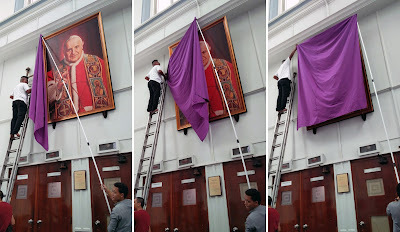 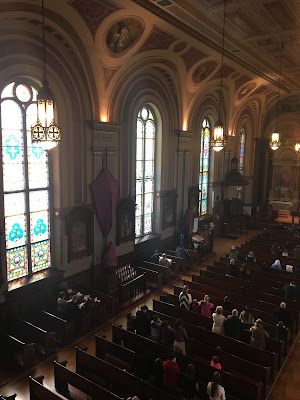 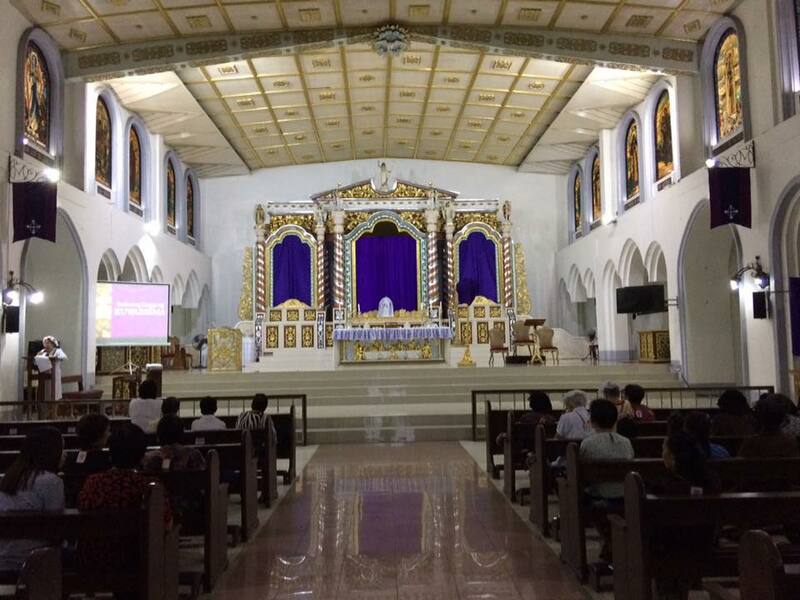 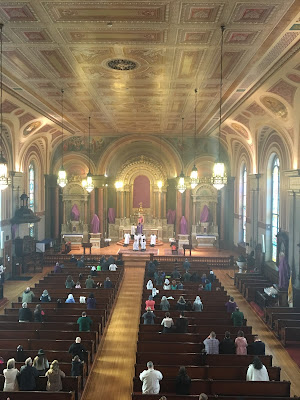 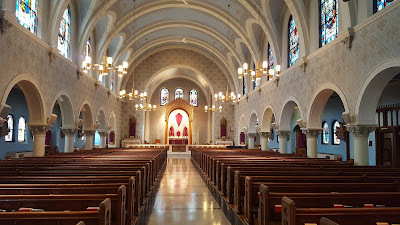 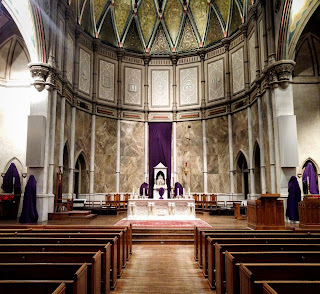 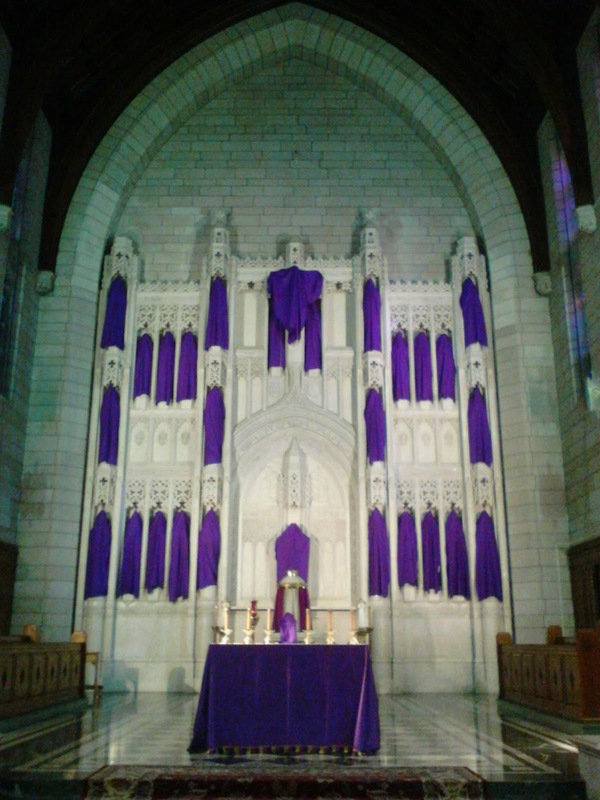 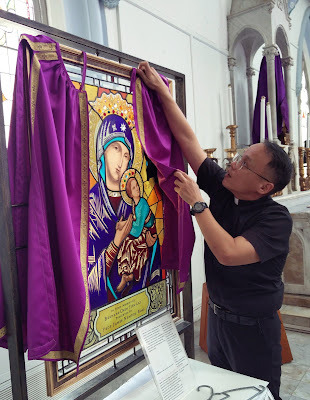 (A priest friend of mine likes to remind his congregation, “Jesus is also pre-Conciliar!”) Our headliner, the church of St Anne in Berlin, New Hampshire, put up the veils for the first time in decades, thanks to the initiative of the parishioners. 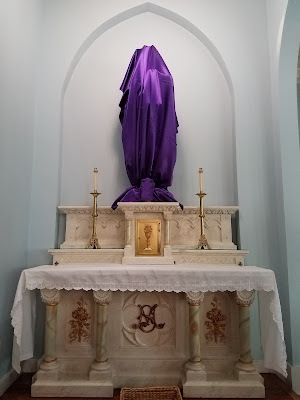 Multa renascentur quae jam cecidere.